mostly obsessed about 8 dollar water from Norway. How can it be $8? Used it in a later book. Many big stars have been interested in playing Reacher, LC recounts time he was on train from Manchester to Norwich (these are small trains) and he had George Clooney on the phone! However through working in tv from a young age he is somewhat jaded - met Laurence Olivier when he was 22/23. Reacher is defined by three things; physicality, intelligent and lacking inhibitions - so very difficult to find actor that fit. Keanu Reeves was interested at one point. They had assumed physicality would be a deal breaker but a year ago they had an epiphany - lose physicality and that meant TC could do the role as he is a good actor and could convey the other two important elements. Need a director who can boss stars around and Christopher McQuarry who wrote The Unusual Suspects, though he is younger than TC he can control him. Film shot in Pittsburgh. You have to have "people" with you in Hollywood so took daughter with him to meet Tom Cruise and they spent a bit of time with Katie and Suri. LC had built up height difference in his mind and then found TC is just a normal sized guy! Werner Hertzog who plays the villain is outrageous, stealing any scene he's within a mile of. As a movie [One Shot] is going to be a terrific crime movie especially if you've not not read Reacher. If you have read Reacher you may have a WTF feeling for a few minutes but hopefully will enjoy it. LC makes you two promises - he won't force you to go to the movies and TC won't come to your house and steal your books. There is some feeling that a book is not thought good enough unless its been on tv/film.Writers are often asked whether a person would have seen their books on tv or film. LC is happy with possibly two or three films but worries quality will go down eg Prime Suspect. Bad Luck and Trouble could be the third film. Stumbling block is the second one, possibly The Hard Way. LC in movie as the desk sergeant giving Reacher back his toothbrush. A Polish band have done a thrash album with each track a Reacher novel.This didn't affect Reacher nor will film. Unlike with Morse where the books changed and even Bond got Scottish ancestors.In the next book, A Wanted Man - LC re-emphasises Reacher's size as a statement of intent. LC was a talent spotter in old job, knew Michael Connelly would be big. Sue Grafton was a massive influence on LC. Kinsey Milhone and VI W were first detectives who were real - did laundry. Reacher's Laundry issue a direct result of KM laundry. Reacher was to have no job, no location, no cutesy name eg Hieronymous, Elvis. Liberating. LC loves first few pages as knows he hasn't screwed it up yet. The Western (as in cowboys) hero is adapted from medieval European tradition. Great if they come in fix problem and crucially... move on! Made Reacher a Major, like a knight, but his experience doesn't really fit with being a Major, done for dramatic effect rather than plausible. Majors and below love Reacher in military above hate him as what a nightmare he would be to manage. Q: Reacher inherits house in fourth book, was he tempted to settle him down? Shows how respected Reacher is by old boss giving him house. LC hates houses but has bought one in England for anglophile wife and is bemused to find himself Life Member of National Trust. Second Son was a down and dirty commercial thing to remind readers of Reacher's brother as he hadn't been mentioned for several books and to drive preorders for new book. A second novella. Deep Down is being written at the moment. Q: Appeal of Reacher to women? 1. Women more visceral reaction to injustice. Reacher has a feminine type of justice, the arc of the book is turning unfair to fair. 3. Reacher respects and likes women; equal, competent characters. 4. Want to get laid, Reacher is ultimate safe affair: never write, never call, never return. Older women want to look after him, younger 48hrs leg over. 61 Hours was the the last book in his contract; never takes it for granted that he will get renewed contract so was writing to let it stand as end of series. All the information is in the book as to how he escaped. Not as obvious as in a tv programme. The "to be continued" was not in his original manuscript, but put in by publisher. Worth Dying For is not supposed to be a sequel, rather a separate story. Lee Child's bibliography on Euro Crime (with reviews). International Dagger Chair Janet Laurence interviewed Anders Roslund (AR) and Borge Hellstrom (BH) on the final day of CrimeFest. They had been on panels individually but I think this was the first time the pair spoke together. Roslund-Hellstrom won the International Dagger last year for Three Seconds which had me gripped. Three Seconds is the fifth book in the series whereas the current release, Cell 8 which covers capital punishment in America, is the third. The next book in English will be Two Soldiers which is the sixth and is I understand out in English later this year. The pair first met over phone. Apparently AR talks and talks and talks when trying to be convincing and all BH wanted was for him to shut up - "he was exhausting"! BH doesn't drink, AR drinks much less now spending so much time with BH. Both know a lot about crime.They made a tv documentary but "tv is like writing in sand" doesn't stay in the memory so decided to write. They got rid of their first names, to form new name. They do not discuss in public who does what. They realise they have a process: first part is 8 months to a year of research and getting people to talk to you - build up trust, the second is plotting and arguing (BH), the final part is the writing. From the beginning they had a couple of issues they wanted to cover - for Two Soldiers they had the idea in 2004. However it's all about the story, it's supposed to be entertainment; 50% facts from real lives, other 50% story. They don't want to tell the reader their (ie the authors') opinion but to challenge the reader to make their own mind up. The Vault is being retranslated as the first translation was a bit harsh - not saying it was bad but the translator and story didn't combine. However Kari Dickson [who has translated the most recent books] has captured the rhythm. Shooting begins in autumn on the film version of Three Seconds (I think). BH reported that he received a phone call asking them to extend love story but there is no love story! Grens (series character) is very special, learned to like him (BH); there are no bad people, no evil, just bad acts. Three Seconds is banned from Texas prisons in case prisoners get ideas. They are not sure how Cell 8 is doing in the US. BH: if you show criminals the consequences of their acts it may prevent re-offending but psychopaths cannot be reached. 4/5 of prisoners dependent on some sort of drugs incuding alcohol but authorities deny this, so prisoners cannot feel what they have done clearly, as drugged up. For the first time in 15 years they are writing their own books for a year. BH is not writing a crime novel. They've tried to keep it quiet but a percentage of all their books goes to charity. 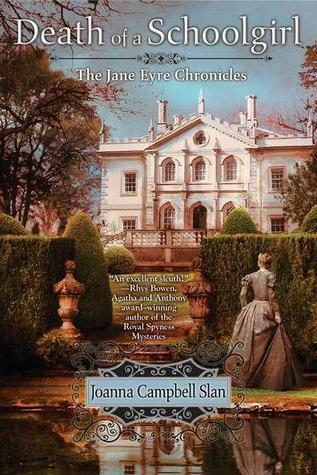 Jane can’t help but fret when a letter arrives from Adèle Varens—Rochester’s ward and Jane’s former pupil, currently at boarding school—warning that the girl’s life is in jeopardy. Although it means leaving her young son and invalid husband, and despite never having been to a city of any size, Jane feels strongly compelled to go to London to ensure Adèle’s safety. I was away at Crimefest last weekend so I'm trying to catch up on the important things I've missed. I'd already prepared my International Dagger shortlist post (as I knew this one :)). Also announced on Friday were the shortlists for the Ellis Peters Historical Dagger, the Dagger in the Library, Non-Fiction Dagger, Short Story Dagger and Debut (ie unpublished) Dagger. A summary of all the shortlists can be found on the CWA's website. The winners will be announced on 5 July at the CWA Awards Ceremony. Creative Content, the specialist digital publishing company, has signed a 3-book deal with Chris Nickson. Changing country, century – and the gender of the protagonist – Nickson's "Emerald City" is a trilogy of crime novels set in Seattle during the evolving grunge music scene of the 1980s and '90s, featuring music journalist Laura Barton. Ali Muirden of Creative Content said "We were really excited when we read Chris's manuscript, as it encapsulates Seattle during the period. Chris lived and worked there for many years and it really shows in the way he writes. His evocative descriptions of Seattle and the surrounding Pacific North West coast area really made me want to visit the city. " The first novel in the series will be published later this year as a simultaneous eBook original and audio book to be read by Lorelei King. Read the whole press release here. They are now available to buy in a special promotion in W H Smiths. More information about the bookclub is on Richard & Judy's website. I'm currently away at Crimefest and having been taking electronic notes. 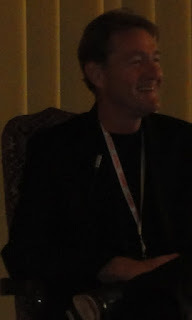 Myself and a few others have been tweeting too which you can read on twitter at https://twitter.com/#!/search/%23CrimeFest2012 and get a flavour of the panels. I'll be setting up the usual polls when I return from CrimeFest. 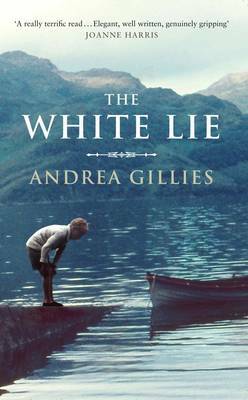 Andrea Gillies is the author of the non-fiction book KEEPER which won the Orwell Prize 2012 and she now turns her hand to fiction with possibly award-winning results with the labyrinthine THE WHITE LIE. Michael is the reader's guide and interpretor as he takes us from the present, to further in the past and even further back again. All the events occur at Peattie, an old country estate adjacent to a loch. The plot is quite simple: fourteen years previously, nineteen-year-old Michael disappears in the loch while out with a family member, supposedly drowned; no body is found so the family cover it up and say that he has gone away, left them for a new life down south. There are rumours in the village that he's committed suicide but the Salters say no more about it to anyone outside the family, and little to insiders. However the family dynamics are completely changed and the repercussions extend further and further as the family expands. Finally a birthday party brings things to a head, everyone's talking about Michael, and eventually the truth is revealed to the reader. Put quite so baldy it seems unlikely to be a gripping read and yet THE WHITE LIE is fascinating and puzzling and even when you think you know what happened at the loch somebody else says they were lying and you're no further forward. Indeed as Hugh Laurie's Dr House says “Everybody lies” - though to be fair they may not know that they are lying. Beautifully written and replete with mysteries and family secrets I thoroughly enjoyed this book. It's one that requires concentration, as at first I did have to keep referring to the family tree at the front to keep the large cast straight. The setting is convincingly brought to life and you really feel present in that house and at the family meetings and when you do get to the resolution you'll want to go back to the beginning and reread to see if you can pick up more clues second time around. This may only be a crime novel in the tangential way that Catherine O'Flynn's WHAT WAS LOST is but I'd recommend it to both genre and non-genre fans alike. A quote from Maxine's review of Asa Larsson's Until Thy Wrath Be Past has been used on the back of the hardback release of The Black Path which is published 7 June by MacLehose Press.Here are Maxine's reviews of Until Thy Wrath Be Past and The Black Path (US Edition). Just to let you know the Euro Crime website is unavailable at the moment as is my eurocrime email account. Don't know what's happened - I'm blaming my web host - but apologies if you've sent an email in the last 24 hours as I haven't been able to download them. I can be contacted via twitter or on my alternative email. The shortlist for the CWA International Dagger will be announced at CrimeFest on Friday. I've listed the eligible titles by author, rather than by month published, below. Which six books do you think will make the shortlist? And/or which six books would you have put on your shortlist? 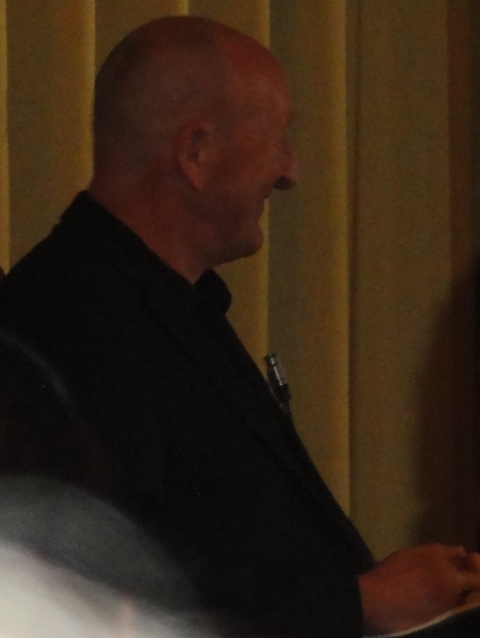 Brilliant, difficult and politically incorrect, Sebastian Bergman is one of Sweden's leading police profilers. His life and and career are on the skids when he returns to his home town, two weeks late for his mother's funeral but just in time to help the local police solve the brutal murder of a 15-year-old boy. Titled Den Fördömde in Swedish, "Sebastian Bergman" was released in 2010. Competition: During May (closes 31st) you can win a copy of Tessa Harris's The Anatomist's Apprentice. The competition is open to UK residents. Answer the question and fill in the form here. Maxine Clarke reviews Deon Meyer's Trackers, tr. K L Seegers of which she states "this book may be the best thriller I've ever read"
and if you travel by train in the UK you can't have missed the posters for Emlyn Rees's Hunted, just out in paperback and reviewed here by Rich Westwood. Previous reviews can be found in the review archive. Forthcoming titles can be found by author or date or by category, here along with releases by year. Crime writing's most wanted accolade, the Theakstons Old Peculier Crime Novel of the Year Award returns to highlight the cream of the crop of crime novels published by British and Irish authors (whose novels were published in paperback from 1st June 2011 to 31st May 2012). The winning author receives a cash prize of £3000 an a handmade, engraved beer barrel provided by Theakstons Old Peculier. Read the article here and check out the whole month's worth and see how many familiar faces you spot and how many more you should be reading! Kristina Ohlsson's series featuring Fredrika Bergmann is being made into a tv series. In the latest deal for a Nordic noir franchise, Stockholm production group NICE Drama has snatched up rights to a trio of novels by young crime writer Kristina Ohlsson. The deal, which hopes to follow on such Scandi crime success stories as The Girl With the Dragon Tattoo and The Killing, will see NICE produce a six-episode TV series and three 90-minute films based on Ohlsson's books Unwanted, The Daisy and Guardian Angels. Ohlsson's trilogy centers on Fredrika Bergman, an investigative analyst for the police who uses her unconventional, academic ideas to solve crimes. 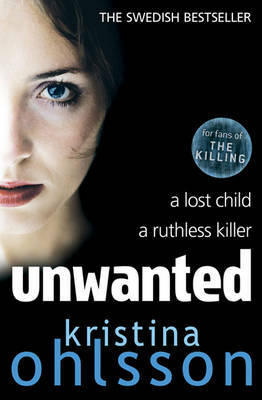 NICE plans to shoot the series in 2013-14, with the first film of Unwanted, the story of a child killer, planned as a theatrical release in certain territories. The series will be produced by NICE together with co-production partners in Sweden and Germany. My review of Unwanted is here and the second book, Silenced, again translated by Sarah Death, is published in the UK on 30 August 2012. 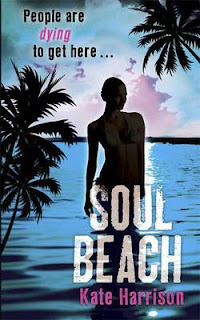 I'm currently hosting a giveaway of Young Adult crime thriller Soul Beach by Kate Harrison over on my other blog, Teenage Fiction for All Ages. So if you want to potentially treat yourself or a family member (and live in the UK or Ireland) enter the giveaway by the end of the month. My review of Soul Beach, the first part in a trilogy, is here. As the only dedicated digital-first publisher in Scandinavia, Stockholm Text is set to publish 25 English language books for worldwide distribution in 2012. The first titles will be on sale as trade paperback and e-books on all leading platforms beginning May 15th. Stockholm Text has attracted some of the most popular authors of the region, in genres ranging from bestselling fiction to edgy non-fiction. Among the books to be released this summer are four mystery novels, written by a few of Sweden’s true crime queens, including Mari Jungstedt and Carin Gerhardsen, both with millions of books sold in regional markets. But there are also prize-winning niche authors, with fan bases that extend throughout Europe and beyond. Stockholm Text will focus on North America because of the high interest in the mystery/thriller genre as well as the rapid growth of the e-book market, but the UK and Australia are also considered core markets with a high interest in Scandinavian literature. In a short space of time, several bestial murders occur in central Stockholm. 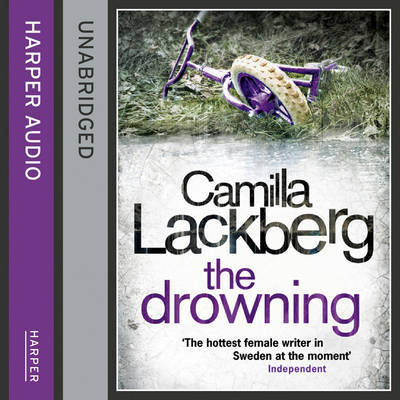 When criminal investigator Conny Sjöberg and the Hammarby police begin to suspect that there’s a link between the murders, Sjöberg goes completely cold. There is a killer out there whose motives are very personal, and who will not be deterred. The Gingerbread House by Carin Gerhardsen is the first in the Hammarby series, thrillers with taut, suspenseful plots and unexpected twists and turns. This haunting novel explores schoolyard bullying among young children and the effect it has on them when people look the other way. Many of the scenes in this book are self-experienced and based on Gerhardsen’s own childhood. Urban settings and strong portraits of authentic characters are crafted in depth and detail, insuring the books will linger in the reader’s mind long after the finish. The Gingerbread House is written in the same tradition as the Sjöwall / Wahlöö crime novels, and has been described as a book version of the tv series The Wire. It is not only published by the same publisher as Stieg Larsson’s The Millennium Trilogy, but by the same editorial team. A myth from the Swedish island of Gotland about the White Sea-Lady has existed ever since Tjelvar, the first man on Gotland, lit a fire and the island rose out of the sea, said to be some 3,000 years ago. The story is told that a young woman who drowned on her wedding night has since tried to lure men down to the deadly underwater currents that tumble off the west coast. The myth of the White Sea-Lady is conjured up one midsummer Gotland island morning, just before a nurse is found murdered in the pavilion on the Tempel Hill of Gorland, in the Botanic garden. She is dressed as a bride. Detective Inspector Maria Wern is investigating the complex case, but it becomes clear that the police is also under observation. The killer seems omnipotent, able to taunt and provoke the police with a technical know-how that far exceeds their own. As the killer’s demonic plans are being contrived, Inspector Maria Wern realizes the threat that increases with every moment the killer goes undetected. The most isolated island in the Baltic Sea, Gotska Sandön, north of Gotland, serves as the setting for Mari Jungstedt’s perfect crime story. 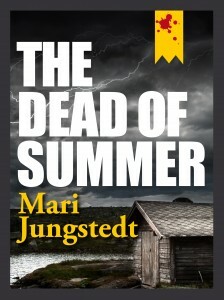 Praised for her intelligent plots, fast pace, and excruciating suspense, Jungstedt has in “The Dead of Summer” written one of her strongest novels. 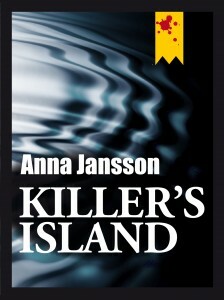 At the starting-point for this spine tingling book, one of ten in the Anders Knutas series, we join assistant commissioner Karin Jacobsson on the case, leading the investigation as Detective Superintendent Anders Knutas is first away on vacation. Reporter Johan Berg keeps pace with the police team, while at the same time doing everything in his power to win back his big love, Emma Winarve. Are we ever truly alone? Or, is there always someone watching, and waiting? Considered “one of Scandinavia’s best crime writers” by The Times, Mari Jungstedt is one of Sweden’s most beloved authors, with more than two million copies of her books sold in Sweden alone. The brutal murder of a Swedish carpet dealer on a business trip to Turkey is the start of a story about an unknown daughter, an exclusive carpet and – as always when Karin Wahlberg writes – the everyday life and dreams of the people we meet in her stories. 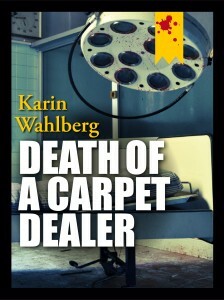 Death of a Carpet Dealeris one of the seven Karin Wahlberg books featuring Police Commissioner Claes Claesson and his wife Veronika Lundborg, doctor at Oskarshamn hospital. It is a traditional crime novel based on a concrete crime to be solved – no politics, no unrelated action, but lots of ordinary life around the characters. Wahlberg herself is one of Sweden’s most renowned accoucheurs. Her highly literary reads have sold over 1.5 million copies worldwide. and Susan White reviews Jacqueline Winspear's The Mapping of Love and Death, the seventh in the Maisie Dobbs series which has found a new UK home at Allison & Busby. 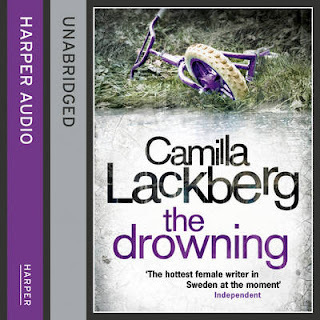 The Drowning is the sixth in the Erica Falck-Patrik Hedstrom series set in Fjallbacka and takes place a few months after the events in The Hidden Child. Christian Thydell, one of Fjallbacka's librarians has finally had his novel The Mermaid (which he was working on in the previous book) published to great critical acclaim however all is not well with Christian as he's been receiving threatening letters which have put him in a dreadful mental state. Erica, a true-crime writer, has been mentoring Christian and when she discovers the existence of the letters steals one to show her police detective husband Patrik and inadvertently advertises their existence to the hungry press, increasing the pressure on Christian. Meanwhile, back at the station Patrik is dealing with weekly visits by Cia Kjellner whose husband Magnus has been missing for three months. They all presume he is dead but no body has appeared. As the story progresses it's discovered that Christian and Magnus knew each other. Is there a connection between the anonymous letters and Magnus's disappearance. And what about Magnus's two other friends from childhood, Kenneth and Erik, are they in danger too? Alongside Patrik's official investigations and Erica's unofficial ones into Christian's background there are chapters told from the point of view of an unnamed boy who has been adopted and who tells of his terrible upbringing at the hands of a cruel mother and indifferent father. The Drowning is not heavy on plot but there are plenty of characters to meet as well as much local intrigue. As well as the usual Falck family matters (romance, children, pregnancy, general domestic life), the listener gets to know amongst others: Sanna, Christian’s unloved wife; Lizbet, Kenneth's dying wife; Louise, Erik's cheated-on wife and Cecilia, Erik's current girlfriend. Lackberg's novels are a mix of domestic drama and detective novel and in The Drowning it sways perilously close to too much of the former at the expense of the latter. Nonetheless if you have followed the series from The Ice Princess then you will probably enjoy catching up with old friends, however if you are new to the series then this probably isn't the best place to start. The never very bright police team are stymied this time by the refusal of the three friends, Christian, Kenneth and Erik, to reveal what they know about who is behind the letters, which is rather frustrating and it takes an age for the police to do the background check on Christian. The most interesting books, for me, have been the ones where Erica has had a personal connection: her friend in The Ice Princess and her mother in The Hidden Child. As usual, Eamonn Riley gives a superb interpretation and should win any audio-book sceptics over. Read another review of The Drowning. New month, new competition. 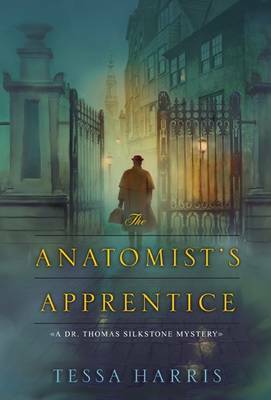 During May (closes 31st) you can enter a competition to win a copy of Tessa Harris's The Anatomist's Apprentice. The competition is open to UK residents. Answer the question and fill in the form here. and Maxine also reviews Cath Staincliffe's Split Second. Forthcoming titles can be found by author or date or by category, here along with releases by year. Titles by Tony Black, Bernadette Calonego, Alexander Campion, Rebecca Cantrell, Donato Carrisi, Karen Charlton, Alys Clare, Lesley Cookman, A J Cross, Victor del Arbol, Thomas Glavinic, J M Gregson, Wolf Haas, Max Kinnings, Priscilla Masters, Carol McCleary, Catriona McPherson, Barbara Nadel, Ann Purser, Pauline Rowson, Gerald Seymour, Linda Stratmann, Stefan Tegenfalk, Will Thomas, Kerry Tombs, Morley Torgov, Peter Tremayne, Neil White and Edward Wilson have been added to these pages this week. Thanks to the generosity of the author, Tessa Harris, Euro Crime has five copies of The Anatomist's Apprentice to giveaway. To enter the draw, just answer the question and include your details in the form below. This competition is open to UK residents only and will close on 31 May 2012. Only 1 entry per person/per household please. The death of Sir Edward Crick has unleashed a torrent of gossip through the seedy taverns and elegant ballrooms of Oxfordshire. No one mourns the dissolute young man - except his sister, the beautiful Lady Lydia Farrell. When her husband comes under suspicion of murder, she seeks expert help from Dr. Thomas Silkstone, a young anatomist from Philadelphia. Thomas arrived in England to study under its foremost surgeon, where his unconventional methods only add to his outsider status. Against his better judgement he agrees to examine Sir Edward's body. But the deeper the doctor's investigations go, the greater the risk that he will be consigned to the ranks of the corpses he studies. 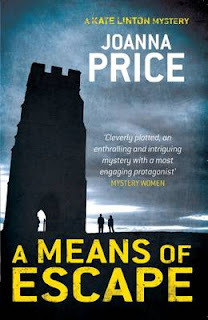 A Means of Escape is the first in the Kate Linton series by Joanna Price which is set in Glastonbury. When Lizzie reviewed it so positively for Euro Crime, I subsequently downloaded the Kindle sample, raced through that and bought the ridiculously cheap full version. I don't have much to add to Lizzie's review except that I too thoroughly enjoyed the book. The plot works well in the "new age" atmosphere of Glastonbury, there are plenty of red herrings and it keeps the identity of the killer murky plus there is a sparky, but not (yet at least) romantic, relationship between the two main detectives. I wish I'd read it sooner (International Dagger reading has been my main reading for the last 8 months) however it does mean, not such a long wait for the sequel, Eeny Meeny Miny Moe, which is out at the end of the month.